It’s Halloween, and unless your plans involve going to parties in costume, carving jack-o-lanterns, handing out candy, or playing tricks, the celebration also requires horror film marathons. Why not add some cackles of comedy to your bloodcurdling screams? 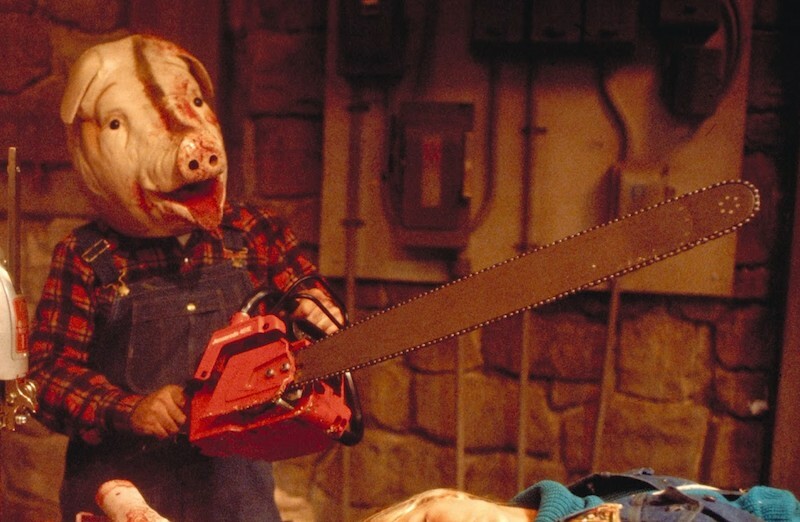 The following list consists of horror comedies from the last four decades. Some are classics, some from the turn of the century will become classics, while others probably should be unearthed and/or discovered. Either way, they are meant to be enjoyed. Happy Halloween, Bats and Ghouls! With his father deceased and his mother institutionalized, Brodie (Milo Cawthorne), a teenage death metal fan, is sent to live with Christian relatives and attend a new school. He is bullied by his cousin and other students, but has two geeky friends, Dion and Giles. He has an attraction to Medina (Kimberley Crossman), which turns out to be mutual, but he is a bit shy. At a local record store, Brodie encounters Zakk (James Blake), who shares an equal interest in macabre and metal. The two of them decide to enter an abandoned house where it is rumored that a reclusive musician, Rikki Daggers (Stephen Ure), is squatting. After briefly attacking Brodie and Zakk, he decides to give them this apparently rare album and run. Once they’re back in their rehearsal space, they realize there was sheet music in the album sleeve. Together with their two other friends and bandmates, they perform the music which shakes the foundation. Brodie later learns that the it is called “The Black Hymn” and has the power to summon demons and is sought after by an elite cult. 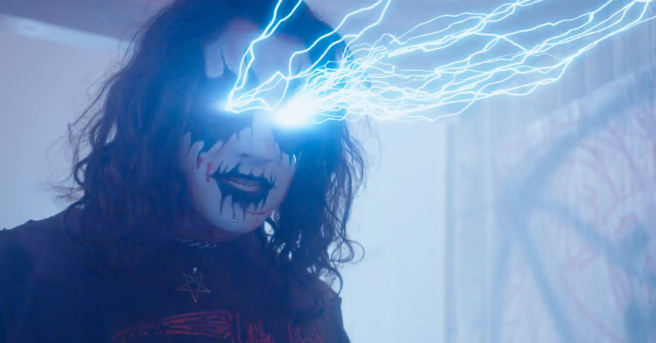 “Deathgasm” is the feature debut of New Zealand writer/director Jason Lei Howden, who was inspired by his own teenage metal outcast days. Playing primarily on the international festival circuit, the film received a positive response. Although it hasn’t been released officially, the soundtrack contains music by Bulletbelt, Emperor, Beastwars, Lair of the Minotaur, and various other metal bands. As of late 2015, a sequel, “Deathgasm Part 2: Goremageddon”, is in production. In a suburban New Zealand town, four vampires, Viago, Vladislav, Deacon, and Petyr, share a house. Each night, they document their experiences to a film crew of prowling the streets for victims, avoiding the deadly sunlight and interactions with their female servant, Jackie, who hopes to be converted. She leads her ex-boyfriend Nick into their lair, where he’s attacked and made into a vampire. As time progresses, the latest addition moves in and is permitted to have one human friend, Stu, that the elder vampires bond with as well. However, Nick is careless about his new lifestyle and reveals to strangers the household’s secret. During daylight hours, a vampire hunter breaks in and kills Petyr. Viago, Vladislav, and Deacon are furious when they realize Nick is responsible; they then banish him from their house. Further down the line, the three of receive an invitation to an undead masquerade ball, where Vladislav’s ex-girlfriend Pauline, aka “The Beast”, will be. Meanwhile, they along with Stu encounter a group of werewolves. 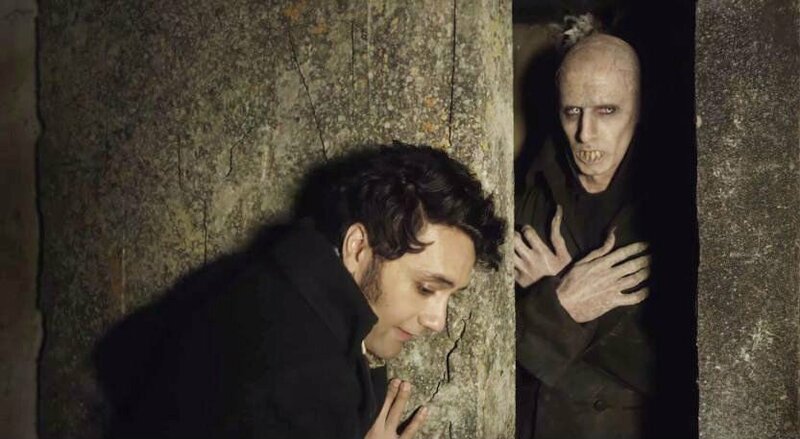 “What We Do in The Shadows” was written and directed by Taika Waititi (aka Viago) and Jemaine Clement (aka Vladislav), based on their original 2006 short film of the same name. It received positive acclaim from critics and audiences on the international festival circuit in 2014, then a limited theatrical run in the US a year later. As of autumn 2016, a sequel centered around the werewolves, “What We Do in The Moonlight”, and a “Shadows” television series are in development. Mild-mannered human resource manager Steve (Kristopher Turner) is about to be married to his controlling fiancée, Tina (Crystal Lowe). In attempt to alter the decision, his sister Sarah (Kristen Hager) and best friend Craig (Shawn Roberts) join the couple as they visit the family’s cabin, but hostilities only increase. Then the groom-to-be is bitten by a mosquito and develops a strange virus along with a taste for brains. Regardless of his deteriorating physical condition and difficulties suppressing his appetite for flesh, Tina insists that the wedding must still happen. To make matters worse, he must steer clear of a zombie hunter. “A Little Bit Zombie” was written by Trevor Martin and Christopher Bond (who had a cameo as the Pizza Guy). It was directed by Casey Walker, who raised more than a million dollars within five years by allowing backers to purchase a frame. The Canadian film was well received and the lighthearted gross-out comedy would go on to win awards at several international festivals. In a small Spanish village in 1910, a gypsy woman puts a curse on the Marino family. One hundred years later, the last descendent of that bloodline is a struggling writer, Tomas (Gorka Otxoa), who returns to the village after a 15 year absence. The mayor asks for him to be a participant in a celebration. Although he is the guest of honor, Tomas feels like a stranger amongst his former neighbors and friends. When he and his fugitive publisher are abducted by the villagers and released in an underground labyrinth, the Marino curse of the werewolf is awoken. A friend rescues the two of them and explains that the village was seeking to end the curse. However, another curse has been unleashed. Originally titled “Lobos De Arga”, “Game of Werewolves” was written and directed by Juan Martinez Moreno. While never released theatrically in the US, it could quite possibly be one of the best werewolf movies in a long time. 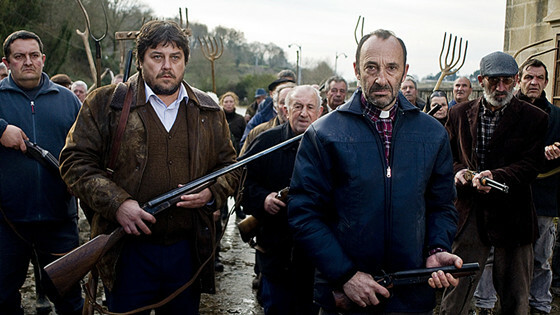 Between 2011 and 2013, the film made the rounds in its home country of Spain and at international festivals. Currently, Rotten Tomatoes gives it a 47 percent consensus, while obtaining a 6.1 star rating out of 10 on IMDb. In San Francisco, a mousy librarian, Deborah (Natasha Lyonne), inherits her father’s aging and dilapidated movie house, with the hopes of saving it from bankruptcy. She assembles a staff of a creepy old man, lunatic female twins, and a thief, to creatively tap into their filmmaking and serial killing techniques. 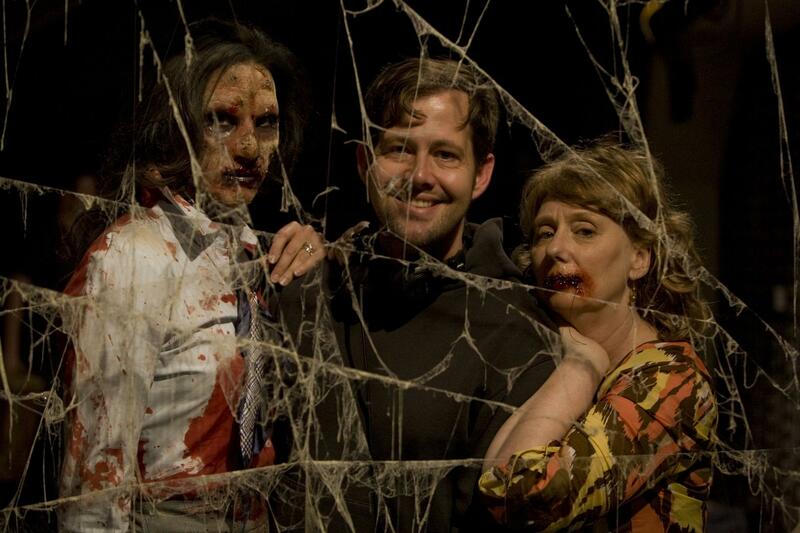 As the theatre’s audiences grow, so does Deborah’s bloodlust and dementia. She has a plan to commit mass murder at the premiere of her feature film debut. However, Steven (Thomas Dekker) is onto her scheme and is determined to put a stop to it. Written and directed by Joshua Grannell (aka drag performer/movie hostesses Peaches Christ), “All About Evil” is an homage to many great horror and campy cult classics. With Jack Donner (of the original “Star Trek” series), Cassandra Peterson (aka Elvira: Mistress of the Dark), and Mink Stole (a John Waters regular), it establishes itself as a true Midnight Movie and is overdue for a revisit. The feature toured for four months in the US and gained positive acclaim from critics and fans of both comedy and horror. It’s Halloween night in a small town in Ohio, as Sam, a mysterious child in a burlap sack mask and shabby pajamas, makes the rounds. A couple discusses that it’s bad luck to blow out the flame on a jack-o-lantern. A middle school principal teaches a destructive, thieving teenaged neighbor about checking candy before eating it. Some young trick or treaters venture to a rock quarry where a bus full of mentally challenged children were murdered in an orchestrated crash. A virgin dressed as Little Red Riding Hood encounters a vampire on the way to a traditional party held by her sister. Based his original animated short film called “Season’s Greetings”, writer and director Michael Dougherty brought the devilish imp-child to his feature length debut, “Trick ‘R Treat”. It received limited theatrical screenings, then was shelved and eventually released straight to DVD in 2009. Regardless, the film gained a cult following and critical acclaim. In October 2013, Dougherty officially announced that a sequel is in production.